The artistic interpretation of Utahraptor embryo. A perfect prehistoric gift for dinosaur enthusiast's birthday. 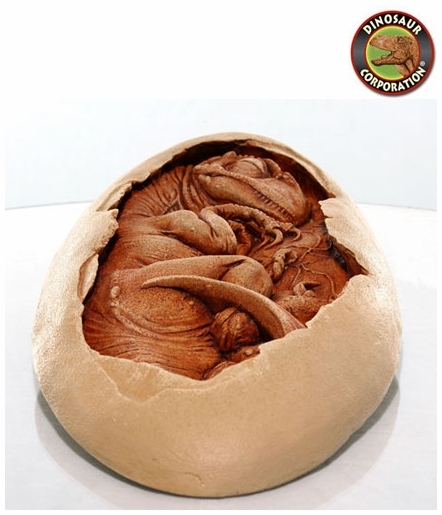 Hurry now and get our Utahraptor Embryo Dinosaur Art Sculpture in cutaway egg before it becomes extinct! Utahraptor is a genus of theropod dinosaurs. It contains a single species, Utahraptor ostrommaysorum, which is the largest-known member of the family Dromaeosauridae. Lived: Early Cretaceous Period 129 - 122 million years ago.